I FELL IN LOVE WITH CAROLE KING IN 1971, when her brilliant album Tapestry was released. And since that time I’ve purchased each of her solo albums, beginning with Writer (1970) and ending (so far) with Love Makes The World (2000). So is it any wonder that I bought A Natural Woman, Carole’s just-published memoir? Of course I bought a copy for you, too. Would you like a chance to win it in this month’s random drawing? Carole’s musical career began well before Tapestry. 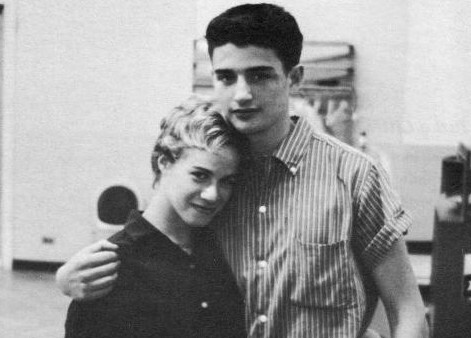 In the 1960s, she wrote a colossal number of hits with Gerry Goffin, her first husband (pictured above). Ever heard the Shirelles “Will You Love Me Tomorrow?” They wrote it. They also wrote “Go Away Little Girl” (Steve Lawrence), “One Fine Day” (The Chiffons), “Hey, Girl” (Freddie Scott), “Chains” (The Beatles), “Take Good Care of My Baby” (Bobby Vee), “The LocoMotion” (Little Eva, Grand Funk Railroad and others), “Pleasant Valley Sunday”, “Some Time in the Morning,” and “Porpoise Song” (The Monkees), and “Natural Woman” (Aretha Franklin). As an environmentalist, Carole has lobbied congress for more than 20 years to get congress to pass the Northern Rockies Eco-System Protection Act (NREPA). The bill seeks to preserve some of America’s most beautiful and ecologically important lands. Yeah, she’s a hero to many of us. Several years ago I was lucky enough to meet (and even hug!) Carole, and to thank her for both her music and her tireless environmental work. I can tell you she is a beautiful person both inside and out. 1. Subscribe (if you haven’t already) to my weekly email newsletter. 2. In the comments field below, mention at least one of your favorite Carole King songs. Enter soon! This random drawing expires on Thursday, April 19, 2012 at 11:59 PM EST. As always, I’ll use the little number gadget at www.Random.org to select the winner. The winner will be notified by email. Favorite Carole King song, besides ALL of them? Music. “Far Away” the Carol King & James Taylor duet version. My High school first love graduated and left for the Navy…. “Loco-Motion”! It’s such a fun song! I’d love to read her memoir – thanks for the giveaway! It’s Gonna Take Some Time (this time).. haunting! Carol King and James Taylor…You’ve got a friend…. Hard to select one favorite. Agree with Brenda, above – the whole Tapestry album! I enjoy all Carol’s music, and watching her and James Taylor on the Public tv. AS a young girl she gave me inspriation and hope. The song “you’ve got a friend” was indeed what I needed to get me thru the teen trials and tribulations. I envision the “friend” in the song to be that og God and always know i am comforted and care for. “I Feel the Earth Move”, hands down! Most definitely “i feel the earth move”! She is one of my favorites also. What a lot of memories her songs bring back. I love ‘Natural Woman’…. I grew up listening to Carole King.She inspired my development in those crucial teenage years.I loved her vocals and her style.I love “Its too late”,from her “Tapestry album”.Carole has an uplifting aura. I’ve waited a long, long time for Carole to write her memoir. Where do I begin with my favorite CK songs? I’m bored with everything from Tapestry, but love everything from “Music,” including “It’s Going To Take Some Time”. From Rhymes and Reasons, my favorite track is “I Think I Can Hear You.” Everything on Fantasy is great! Same goes for Thoroughbred, although I’m partial to “High Out of Time,” with Crosby, Stills & Nash doing background vocals. Still love the title track from Simple Things, and “Morning Sun” from Welcome Home. And I could go on and on, but won’t! When I was a kid, my parents bought me Really Rosie. So I’d have to say “Pierre.” But everything on that record is great, and I still remember the words to all of them! “So Far Away.” The piano, the flute, Carole’s soulful voice…just mesmerizing. I love “So Far Away” (I hear it clearly in my mind just thinking about it). I was in my later years of high school when I fell in love with her music. She has an amazing and beautiful voice. I would love to read this book. Lets see. Sweet Seasons and Natural Woman, and It’s Going to take some time. “Up on the Roof”…saw Carole and James Taylor when they toured together a couple of years ago. Definitely in my hall of fame! “You’ve got a friend” is my favorite Carole King song. Especially when her and James Taylor sang it together during his PBS tribute. Holy cow, Kevin! There is NO way to pick just one. Like another further up, I’ll have to go with the entire Tapestry album. Carole is a fantastic song writer and one of my very favorites right up there with JT. Ok…now I’ve got “Way Over Yonder” running through my head. Thanks for the chance to win! Natural Woman…all the way baby! I saw an interview Ms. Carole did on the Today show this week. Awesome!!!! I want to read her book! I was in 8th grade when Tapestry came out. I still have the original album!! Natural Woman is one of my favorites – hard to pick just one. I feel the Earth Move. Like being asked to pick a favorite child, haha. If I HAD to name one, Up on the Roof sure comes to mind. Of course, you’ve got a friend is going through my head now… She sure is terrific. I purposely did not read other comments yet as I didn’t want to be influenced ;), but now will go up and enjoy what your fun readers have shared. Love that girl! I love Carol King’s music. When I was in 6th grade, I brought her album to share with my class. The teacher stored it in her desk. When I went to go home that afternoon, someone had taken it. I was crushed! I love your blog and enjoy reading the many topics you write about. Thanks for sharing. “Up On The Roof”has always been a favorite of mine for it’s upbeat and melodic appeal, but also for the strong sense memory that it evokes. When I was younger, growing up in NY, the roof tops of apartment buildings truly were a place that you could escape. Carole King (and I believe she co-wrote this with james Taylor) managed to describe this experience of living in a crowded, busy, noisy place where space was limited, yet there was this secret place you could go where space was plentiful and you could be all alone. Even though I now live in a house, going “Up On The Roof” still symbolizes a refuge–a place where one can go and be with their thoughts, escape the stress of the day and turn things around. It’s hard to pick just one but I’d have to say So Far Away. You’ve got a friend stands out for all time. I still have the original album and it is one of my most played favorites. It has traveled widely with me even to Ecuador and back. My dear patient loving parents didn’t complain when I played Carole’s Tapestry album CONSTANTLY. She wrote so many stellar songs but Tapestry is my favourite. It is such a rich, textured song. high out of time. thanks for the giveaway! I like the song Tapestry-I reaally like all of her music-It’s been a part of my life for such a long, long, long time! “Natural Woman”, of COURSE. And ALL of the Tapestry album… it flashes me right back to college! Its too Late… Love that song! So Vain”, if I had to pick. It has to be from Tapestry so mine is “It’s Too Late”. My favorite Carole King song is “You’ve Got a Friend.” Whenever I hear this song, I think about the beloveds in my life who have always been there for me. I’ve always loved Carole. My top two favorites would have to be “Tapestry” and “Will You Still Love Me Tomorrow”. The older I get, the more I enjoy listening to the entire “Tapestry” album. You’ve Got a Friend. and So Far Away! So many favorites……but I would have to say Natural Woman. It is so hard to pick one only. But, You’ve Got a Friend is very wonderful. A Night This Side of Dying. drug craz so right. Well written, and well sung. Well rembrred. Wish it had gotten the AirPlay that the love songs had gotten. Hard to choose, but It’s Too Late is one of ’em. Gotta go with Natural Woman, and the Tapestry album. Thanks Carole for adding your music to the tapestry of the universe! Love, love, love Carole. Up On the Roof would be my pick. You’ve Got a Friend, Natural Woman, Jazzman. She’s amazing! I fell in love with my husband of 50 yrs. to the song “Will You Still Love Me Tomorrow”. The Tapestry album was by far, my favorite album. And guess what…..he still loves me! So many wonderful songs and memories. I truly love all her songs and still sing along! Kevin, I just recently subscribed to your newsletter and have enjoyed it very much. I am determined to try the mozzarella cheese recipe. Keep up the good work! sooo many great tunes; can’t choose ONE favorite! thanks again…. Oh my gosh! Just ONE? If I can only pick one, I guess it would have to be Tapestry! I used to play that whole album over & over & over again!!! It’s Too Late, definitely my favorite, but the whole discography is so wonderful. Carole King’s Tapestry album is my all time favorite album, bar none. Hard to pick a favorite tune but “So Far Away” always resonates with me since I spent years living out of a suitcase when I was on the road full time playing music. 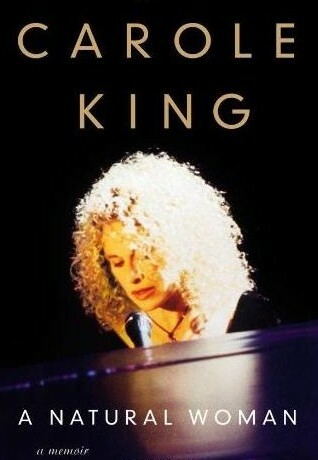 Carole King’s music has been a big part of the soundtrack of my life! But who can pick a favorite? Different song speak to me at different moments……nothing like getting housework done with “Locomotion” in the background- “You’ve got a friend” when I’m feeling melancholy, “Way Over Yonder” when I need a stamina infusion. Tapestry….my all time favorite. Natural woman a close second! I was 10 years old when I listened to her Tapestry album. And listened, and listened…..for some reason I had a lot of time alone and her voice seeped into me like the Baby Oil we used on our skin when we baked in the sun’s rays of summer !! Oooooch! Just didn’t realize how much a part of my personal fabric her voice and lyrics are. Feels like I know every phrase of every song on Tapestry (and many other songs of hers besides). Pretty neat feeling…now I think I’ll go look up a few of those songs and have a memoryfest this fine sunny weekend afternoon! Thanks! So Far Away is a favorite. My favorite Carol King song is ‘You’ve Got A Friend’. It touched me deeply enough that I sang it over and over for a dying friend, many years ago. She is such a talented and beautiful spirit. Without a doubt, “Will You Still Love Me Tomorrow.” Time to pull all the Carole King music out to relive those beautiful memories. The entire “Tapestry” album is full of my favorite songs! But if I had to choose one or two, “You’ve Got a Friend” would be right up there, as would “Natural Woman,” “Far Away,”… (if I keep listing my favorites, I am going to list the entire album and more…. )… I used to sing a lot of her songs when I was a regular at The Nameless Coffeehouse in Cambridge in the late 1960’s and early 70’s. Genius singer/songwriter, one of the best EVER! I’m going to have to say “You’ve Got A Friend”, it seems to say it all….Thanks for your page and for the chance to win Carole’s memoir! This is like picking your favorite kid! I guess “It’s too late baby” tied with “Will you love me tomorrow”! Thanks for the nudge to go put on my “Tapestry” cassette! I’ll keep my fingers crossed ! What an amazing woman…and I don’t use that word often. Tapestry was my first LP, and I played it through a lot of rough times. It’s timeless, relevant, and a work of word art. “Will You Love Me Tomorrow” is my favorite, although each song brings back such good memories. Me Tomorrow?” But all her songs are wonderful. She just has a beautiful way of performing. I’ve been a fan since the beginning of she popularity. Mine is ‘I feel the earth move”! Also, a Big fan! own rendition when we were suppose to be singing something else. You’ve Got a Friend, I have has this song as my ringtone for yrs. I always have people comment on how they enjoy calling me and hearing this song. I fell in love with Carole King’s music in the early 70’s. When I want to relax and meditate I’ll light a nice candle and pour myself a glass of wine and put on the Tapestry album. But my all time favorite is “I feel the Earth Move”. Oh’ my gosh. How can anyone just pick one. To start with, It’s too late, To Far Away and I Feel the earth move. Shoot – I LOVE the whole Tapestry album. I still remember the day my sister bought it. I was about 11 and I turned 52 yesterday. Was that really 41 years ago? This would be the best birthday present! I’m going to say Tapestry but it could easily be ANY of her songs. I probably still have her albums or 8 track tapes or cassettes from the 70’s. I also love all the songs she did with James Taylor. “Tapestry” came out when I was in college. I listen to it now on CD with the same appreciation as I did when I bought it in vinyl. It is timeless. My favorite 70s CK tune is “It’s Too Late.” My favorite CK composition from the 60s is “Take Good Care of My Baby” sung by Bobbie Vee. What a fabulous talent Carole is! Tapestry! among others. Thanks for the opportunity and the newsletters. Just heard Carole give an interview on public radio. “It’s too late” is still drifting through my mind. I’m a subscriber. One of my favorite is Natural Woman. Thank you for sharing the book and create fun in life with us. every song! All of Tapestry, all of Rhyme and Reason, all of Really Rosie. If I had to pick just one song, I guess I’d chooseYou’ve got a Friend. It’s Too Late, plus just about anything else she has written. My very favorite song? Wow…my father dedicated “You’ve got a Friend” to me when I was 10 and my parents were divorced. He passed when I was 22 years old, and think of him any time this song plays anywhere…”Tapestry” is one of my all time anywhere favorite songs by anyone, and “Pleasant Valley Sunday” IS my anthem about life in suburbia growing up, (not to mention the Monkees and my infatuation with Davy Jones, who just passed, who when I hear “Sometime in the Morning”, I just about sob!). “Where You lead, I will follow” is my dedication song to my husband of 21 years (together for 25 years)…”Really Rosie” helped me in the years of growing up to be as feminist as I felt, “Chicken Soup with Rice” I sang to my daughter when she would be sick as a baby…So, how do I choose? It’s hard to say which song I would place as my absolute favorite…you see? I also love them all, but some of my favorites are “So Far Away” ,”You’ve Got a Friend”, and “It’s Too Late” . And many more.. I Feel The Earth Move — absolutely! “You’ve Got a Friend” sung with James Taylor! I still love it and never tire of it. I’m glad someone else mentioned the Really Rosie album. When we took road trips with the kids that was in the tape player. My favorite song from that album might be I’m Really Rosie, but I can’t think of a CK song I don’t love. Will You Still Love Me Tomorrow always takes me back to happy/sad times in my youth. Up on a Roof…brings back memories! All of them but because of the year when Tapestry was released (I married my husband that year), it has to be You’ve Got a Friend. Just writing about it brings the memories rushing back. “Tapestry” – brings back high school! It is hard to pick one, she has always been a favorite, but I love Tapestry. Talk about a touch chore!! Pick just ONE Carole King song. Hmmm For me it would come down to “So Far Away”. Has special meaning to me from my days of youth. I saw my friends from school growing up, getting careers, married and leaving. “Doesn’t anybody stay in one place anymore.” has crossed my mind often over the years. Don’t know if I’ll wait to win it. This could be one for my tiny library. “It’s Too Late”— but depending on the relationship, it may never be too late! You’ve got a friend….hard to pick one. I subscribe to your newsletter and love it. It’s hard to pick a favorite since she’s made so much great music, but I’ll go with “I Feel The Earth Move”. In the early 70s as a young bride, had a 8 track of Carol, Don’t remember the title, listened to it every day as I drove to work. Really, Tapestry is a treasure, and it’s SO hard to choose. But “Far Away” and “I Feel The Earth Move” may possibly be my favourites . . . oh, but then there’s Smackwater Jack, Natural Woman . . . oh dear . . .
My favourite is ‘Beautiful’ from Tapestry. It says it all. So Far Away and You’ve Got A Friend (with James Taylor). It helped ease the loneliness while my husband was stationed overseas. Like so many others I don’t know which one to pick. As I read through all the choices before mine I relized that she has provided the soundtrack of my life. I grew up on Pleasant Valley Dr and always swore the song was about my neighborhood. In college Tapestry defined me. When relationships ended it was So Far Away. Now my life is Natural Woman. I think I’ll just spend the rest of the night listining to Carol in my head. I love them all, but Up On the Roof really takes me to a place of quiet and solitude that we all need. It’s so great when she performs it with James Taylor. I also love Child of Mine and Chicken Soup with Rice (with Maurice Sendak) from Really Rosie. Child of Mine so speaks to the way I see my son. “You’ve got a friend”. Close second — “So far away”. Also agree with Shelly about “Up on the Roof”. Oh my goodness! Pick one? I don’t know if that’s possible with all the favorites I’m remembering. Like “Sweet Seasons” ,”I Feel the Earth Move”, “It’s Too Late”, and so many more.Thanks for the giveaway :). I was just listening to her CD just the other day and reminising! If I had to choose a favorite of hers…hmm? I guess it would be Tapestry. Since I am a Natural Woman then that would be the song choice! Will you still love me tomorrow, Up on the Roof, Natual Woman, there’s so many amazing songs its hard to choose. We saw Carole King & James Taylor in concert recently, what a great concert! I had Carole King’s LP (vinyl recordings) so long ago; all gone now. I wore out the Tapestry disc. I still love the title song and “You’ve got a friend”. I can’t go past “I feel the earth move”. Now I’m feeling all nostalgic! My favorite is “You have a friend”. My husband’s is “No Secrets”; I had more of a past then he did at the time we were dating and this song worked for him. So many to choose from! If I have to pick one, I’d say… “Beautiful” from Tapestry. I feel the earth move…….as a gardener it is a double entendre! Ditto, Ditto, Ditto! particularly, Up on a Rood, and You’ve got a Friend. Great memories! Sweet Seasons…if I had to pick just one! love Carole King hard to pick just one………….but today I would pick smackwater jack it is just a fun song that gets you moving! Up on the Roof is my all time favorite and You’ve Got a Friend comes in second. I “came of age” listening to Carole King music in the 70’s. So Far Away, You’ve Got a Friend, Will you still Love Me Tomorrow, are just a few. She’s one of the best singer/songwriters of all time. I had this album in high school (still do) and played it over and over again, driving my parents nuts. I think my favorite song was “So Far Away”, but I played them ALL. Will you still love me tomorrow? Best song ever! Grew up singing to my Moms Tapestry album. Knew every word by heart. I love them all. I also love her – Love Makes the World album. I feel like she is a family friend, have been singing her songs all my life! Really? Just one? Well this is really hard, Natural Woman, maybe Will you still love me tomorrow. I love all her work! You’ve Got a Friend and Natural Women are two of my favorites. It’s Too Late. That along speaks volumes. Oh this is extremely difficult, but if I must it is Now and Forever. May have something to do with my first love. I love the album Tapestry! In fact, I first started to study English with Carole King’s songs. Later, I bought the CD but I ended up loosing it when I moved from Africa to the States. My favourite song is “It’s too late”. I also love “So far away” ! It felt as if it was written for me. “You’ve got a friend” is also among my favourite ones but I think it is a James Taylor’s song? My apologies if I am mistaken. Love the “Love Makes the World” Album/CD!! Love all her work!!! I saw her Troubadour Reunion Tour and still my fav songs are “you’ve got a friend” and “Child of Mine.” Carole King is a classy lady! Love Carole King! A especially the Troubadour PBS special she did with James Taylor. Fave song has got to be Tapestry – fell in love with it when I was twelve and though that I wanted my life to be a Tapestry too. 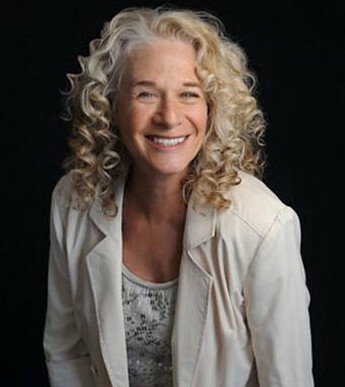 I’ve adored Carole King ever since I was a little girl and had the “Really Rosie” soundtrack. As I got older I ventured into her solo albums and just fell in love with her music even more. My fave song of hers is “Been to Canaan.” Her voice is so soothing to listen to. Love Carole King and all of her music including the duets with James Taylor. my best friends, etc. Great music. So many are wonderful it’s hard to choose, but I will go with So Far Away. You’ve Got a Friend with James Taylor… LOVE Carole King! You’ve Got a Friend, so Will You Still Love Me Tomorrow if I bring my Tapestry Up On the Roof? Natural Woman is probably my favorite. Maggie, that’s great! I love that she and her husband, Gerry Goffin, wrote “The Loco-Motion” for their babysitter, Eva Boyd (Little Eva). Song written for Celine Dion??? Tapestry is obviously very popular even today which is wonderful. It was a life altering album for me. ‘So Far Away’ was probably my favorite off that album however I really love ‘You’ve Been Around Too Long’ from another album, title escapes me. I notice that over the years and on here, people mix up Carly Simon songs with Carol Kings. Anyways, love you site, keep up the great work. Love Carole King and her music brings me back to a time when life seemed so much simpler! Favorite song has to be “You’ve Got a Friend”! There are so many favorites! “Will You Love ME Tomorrow”? has to be one of my all time one. Imagine a 17-year old writing “Will You Love Me Tomorrow?” What a genius! That will always be my favorite. Incidentally, Carole played the (kettle?) drums during that recording. my favorite…You’v got a friend……. You Make Me Feel Like A Natural Women. Still as beautiful now as it was then! Tapestry…..the song, and the whole album! Hey Kevin, I basically lost my virginity to “Will You Still Love Me Tomorrow” on the Tapestry album. Fave song one. Wasn’t Tapestry the number one selling album of all time until Thriller came out? In the pre-Google, pre-Facebook days of my youth, “So far Away” very accurately expressed my melancholy for friends that had moved on. I Feel the Earth Move and You’ve Got a Friend! Thanks for playing, everyone! The winner has been notified by email. OH NO, I had given you the wrong email so just in case number 219 is drawn I have fixed the problem! I love Carole King, so it’s hard to pick just one favorite. “Beautiful” has lyrics that I think about frequently–you’ve got to get up every morning, with a smile on your face, and show the world all the love in your heart– but the same can be said of so many of her songs. I lived my life in HS through the music of Carole King. I was confident her music was written just for me! Natural Woman was one of my favorites, but everything she sang was amazing and is timeless. I just received Carole King’s book. Thank you so much; I can’t wait to begin to read it. Love your website and all the tips, pictures of gardens and flowers. It’s wonderful. in 2003. Thats fair and moral, right? Happilly I found your website! Thank you; I love it! Sadly, my ex-husband passes away last month. We fell in love to all the songs on Tapestry. And even though we parted ways, each time I hear one of those songs… I briefly (thank God because I’ve remarried), fall in love with him all over again! LOL Her music moves me, touches my soul, and takes me back to a place and time, I never knew was so precious until it was “Too Late, Baby”. Is there anything better then…. A Natural woman? I realize this is an old post, but I just found your blog. LOVE IT by the way! I would say hands down, “Child of Mine” . Years ago, My daughters school had an event for mothers day went, and they played this song, now I had never heard of it, I went home and immediately researched to find it. It brought tears to my eyes, I think of that some a lot and the impact it had on me as a mother. That’s all, just thought I’d share! How can there be just one favorite Carole King song? I Feel the Earth Move, is a good entry for your contest. Party on…. I am so upset that I did not find your blog before this contest! I grew up listening to and love Carol King and especially TAPESTRY, and as a writer and former English professor, I am still amazed at the depth and volume of her songwriting ability. However, that said, hers is the saddest memoir/bio I’ve ever read. She let so many people take advantage of her and throughout the book her life just sort of wanders around. Such a talent, but I can’t recomment this book.